Features:No need to connect anything to the console or TV/ receiver. A microphone is required for chat.Enables most wired stereo gaming headsets to work for Xbox One.Easily adjust chat audio without taking your hands off the controller.Controls include volume up/down, microphone mute, and game/chat balance.Just plug the headset adapter that came with your headset into your controller and then connect the headset.Most stereo gaming headsets with a 3.5mm audio jack (that use the CTIA plug standard) can get chat and stereo game audio directly.Elegant appearance, fine workmanship, precise dimension.To make synchronous game control and stereo sound become possible.Easy to install and use, dirtproof and wear resistant. Specifications:Material: plasticColor: b.
Microsoft XBOX ONE fire ox 220V. Microsoft XBOX ONE. Only applicable to XBOX ONE host with capacity of 500G and below, other large-capacity models are not applicable. Note:Applicable to Xbox One models only, other machines newer versions not applicable. 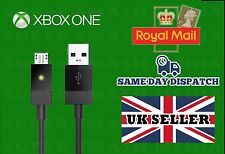 Official Xbox One Power Supply with UK Lead & Plug, UK Stock, Xbox One Repair. UK mains lead and plug. Output DC: 12V @ 17.9A : 5Vsb @ 1A. All lasers and internal gadget parts are security marked or QR bar-coded. 5 out of 5 stars - Official Xbox One Power Supply with UK Lead & Plug, UK Stock, Xbox One Repair. 19 product ratings19 product ratings - Official Xbox One Power Supply with UK Lead & Plug, UK Stock, Xbox One Repair. ITEM HAS BEEN CUT OFF CHAT HEADSETS. All of our products can be collected from Baldock. Includes Sync and Eject touch sensors. Microsoft Xbox ONE power button flex with adhesive. Part Number : X868974 - Front fascia not included. Power Flex ONLY. Front fascia not included. develop and improve our products. To make recording party chat as easy as possible, Chat Link features 1 female and 2 male jacks. To start, plug your headset into the female jack. - 3.5mm female jack accepts analogue stereo headsets. Compatible With: Microsoft Xbox One Only. A LED indicator light would display the power status of the Xbox One system. Ideal for replacing any lost or broken AC power adapter for Xbox One consoles. 1 x Power Cable (UK Plug). The right angled connector can be very useful for space saving and still maintaining a good connection. Connectors: 5A on UK Mains Plug - 10A IEC Socket (kettle type). Fuse: 5 amp. Length: 1.8m. Compatible with Xbox One, Xbox One Elite and Xbox One X. Good build quality USB cable made to highest spec. REYTID Replacement Cable w/ Mute for Logitech G433 G223 G633 Pro Gaming Headset Xbox One PS4 993-001070. An LED indicator would indicate the performance status of the Xbox One system heat and electrical insulation. It is compatible with XBOX ONE console ONLY. LED Status: Green - Power Good; Orange - Standby; Red - error alarm. REYTID Xbox One Talkback Chat Gaming Cable for Astro Gaming Headsets - A30/A40/A50 Lead - Replacement Lead Wire Online Live. Scope: For XBOX ONE host. Plug: UK Plug. Output power: 135W. LED indicator light would display the power status of the xbox One system. Best Accessory for Your Power Kit Needs. NO LOUD BUZZING OR FAN NOISE. No more power troubles, no loud noise. Power: 200W. Stylish Sports Redmi Airdots HiFi TWS Wireless Bluetooth Earphone Headphone 4.1g. Portable A01 Wireless Bluetooth Headset Earphone V4.1 Bluetooth Headphone Mic. Long Standby 100hrs with Charging Base Bluetooth Wireless Earphone Headphone. Transmits Audio Replaced Cord Cable for Skullcandy Crusher Wireless Headphone. 10pcs Foam Cushion Ear Pads For Plantronics Audio 310 470 478 628 626 Headphone. Black VGA Male To HDMI Output Converter Adapter Cable 1080P HD Audio TV AV HDTV. Xbox One Talkback Chat Cable for Turtle Beach Gaming Headsets - 1. Applicable Products: Xbox one. Output: DC 12V. Input: AC 100-240V 1.78A 47-63Hz. 1 x Power Line. Product Size: 17 7.5 5cm, line length 1.2m. We will always here to solve them for you. It won't help the problem to be solved. REYTID [2017 Uprated Model] Microsoft Xbox ONE UK Power Supply - Full CE Certification - Replacement AC Adapter Brick Xbox 1 Console UK Plug - Auto Fan ShutDown - Universal Auto Voltage 100v-240v. 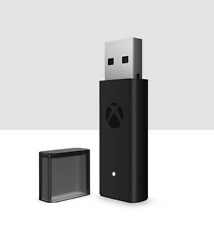 Enjoy your favorite local channels while you play, with the Xbox One Digital TV Tuner. You can even pause and fast forward playback. All our Product's have a 30Day Return's Policy and a Minimum of 3months warranty so you now your safe with playbox gaming Description GRADE Aaa HIGH QUALITY GOLD PLATED PRODUCT talkback adapter cable will allow you to use your PC gaming headset on either the XBOX One or the PS4 so you don't have to buy a new headset 2 x 3.5mm female jack, 3.5 mm Jack Model compatible XBOX ONE, XBOX ONE S ,XBOX ONE X ,PLAYSTATION 4 Dispatch Times & Postage all sales before 1pm will be dispatch the Same day any sales after 1pm will be dispatched the next working day return's policy & payment details below thank you for looking & please take a look at my ebay shop. XBOX LIVE TALKBACK CHAT CABLE FOR TURTLE BEACH & ASTRO GAMING HEADSETS - 1m LEAD - Xbox 360/Live. 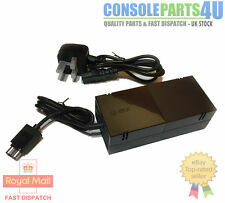 Replacement Power Supply With UK Lead & Plug for Microsoft XBOXONE Console.